Just pull the lever to open the rings for adding, replacing and removing pages. Then push to lock the rings in place. 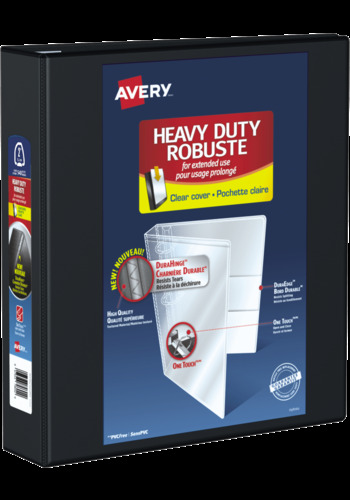 Even when filled to its 540-page capacity, this binder still has four stacked pockets for a bit of extra space inside.